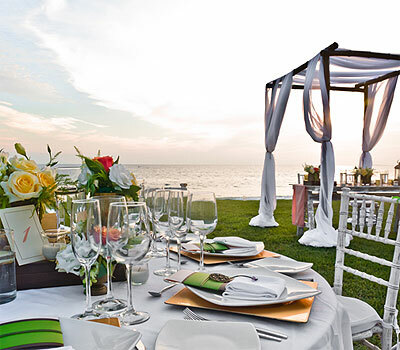 Puerto Vallarta is a beautiful place for a Destination Wedding in Mexico. Our combination of the mountains along with our pretty beaches makes Puerto Vallarta a perfect spot to have your wedding. Now, I had been asked by some American and Canadian brides if it is safe to have their weddings in Puerto Vallarta, and my answer had been always YES. Of course during the past years, violence in Mexico had increased and Americans appear more reluctant to return than Canadians but what statistics shows is that regarding tourism spots in 2010 according to the FBI, the gateway to Disney World, Orlando, saw 7.5 murders per 100,000 residents in 2010 according to the FBI; this is higher than Cancun or Puerto Vallarta, with rates of 1.83 and 5.9 respectively, per a Stanford University report. Puerto Vallarta is a tourism place so it is not a destination place consider on the State Department’s travel warning. The warning goes on to recommend against travel to select parts of other states, but not including many popular destinations such as Puerto Vallarta and the Riviera Nayarit. I am from Mexico city and I had been living in Puerto Vallarta for almost 9 years and I can tell you that I had lived on paradise, nothing compared to live on a big city. Never had seen shots and robberies on the streets. 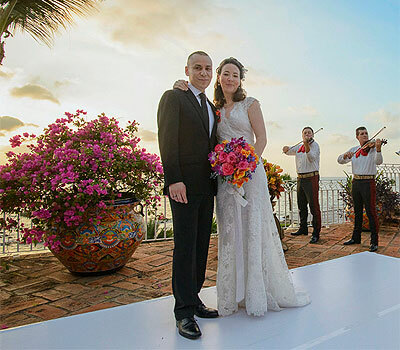 After more than 200 weddings we had coordinate in Puerto Vallarta I can tell you that all of our couples along with their guests returned home safe and saved. Of course as in any city on the whole world if you go at night on not good neighbors you can be robbed, but that might happen everywhere. So I encouraged brides not to be afraid and be sure that Weddings in Puerto Vallarta are very safe! !